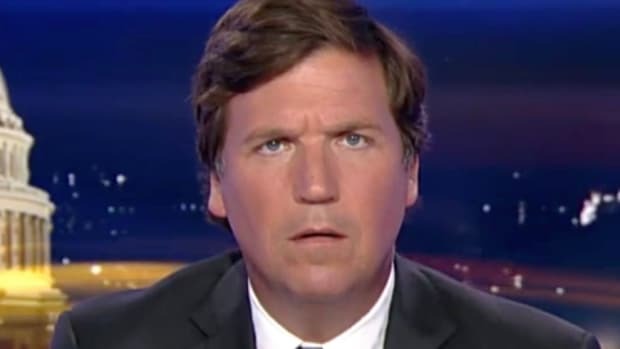 The more you delve into Tucker Carlson's transformation into a White Nationalist, the more cynical it appears to be. 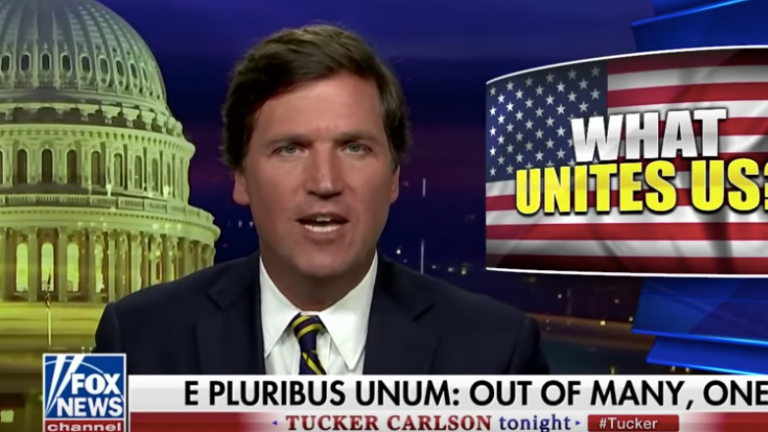 Tucker Carlson&apos;s latest rant against immigrants and diversity should come as no surprise from those who have watched the Fox News host morph into a spokesperson for white nationalism in America. Last Friday however, Carlson gave perhaps the most overtly racist diatribe of his career, laying into diversity in America and claiming it weakened the country. "How precisely is diversity our strength?" asked Carlson in response to Democratic politicians praising diversity. "Since you’ve made this our new national motto, please be specific as you explain it. Can you think, for example, of other institutions such as, I don’t know, marriage or military units in which the less people have in common, the more cohesive they are?" "Do you get along better with your neighbors, your co-workers if you can’t understand each other or share no common values?" He went on. "Please be honest as you answer this question." "And if diversity is our strength, why is it okay for the rest of us to surrender one of our central rights, freedom of speech, to just a handful of tech monopolies? And by the way, if your ideas are so obviously true, why does anyone who question them need to be shamed, silenced and fired?" Carlson&apos;s message is not hard to decipher: segregation along ethnic and cultural lines is good, America is white, so no more brown people please. Carlson has always been an annoying twit, but from my perspective at least, I always felt he wasn&apos;t such a bad person underneath it all. A staunch conservative in the William F. Buckley mold, the Tucker Carlson of ten years ago would not have stooped to cynical race baiting to make a living. Yet today in the era of Donald Trump, Carlson takes to the airwaves on a nightly basis to defend Donald Trump, vilify immigrants, and extoll the great virtues of WASP culture to his viewers.His latest diatribe against diversity however, takes his race baiting to a new astonishingly cynical level. CNN host Don Lemon hosted a panel on his show this week to dissect these absurd statements -- a segment well worth watching in full as the guests Tara Setmayer, Bakari Sellers, and Alice Stewart dismantled everything Carlson claimed. It was particularly interesting to hear Stewart, the former Communications director for Ted Cruz&apos;s campaign for president in 2016, tear into Carlson. "Tucker Carlson is a smart man," said Stewart after the clip played. "He has worked really hard to get where he is, and to have his own show on Fox News, but for him to sit there with a straight face and say that diversity is not a strength is beyond comprehension. That&apos;s what makes this country great. That&apos;s what makes America unique to other countries." "To say that diversity makes us not strong I think is completely wrong," she went on. "And unfortunately Donald Trump sits there and watches that every day, 24 hours a day, 7 days a week, and that&apos;s where he gets a lot of his ideas." Again, this is the former Communications director for Ted Cruz&apos;s campaign speaking. The other hosts were far less diplomatic with their assessment of Carlson&apos;s rant. Tara Setmayer tore into Carlson and gave some background to his transformation into the preeminent white supremacist in America. "I don&apos;t know where this came from, to this level, because it was not OK before Donald Trump to be this overt about it," Setmayer said. "And Tucker Carlson is a smart guy. 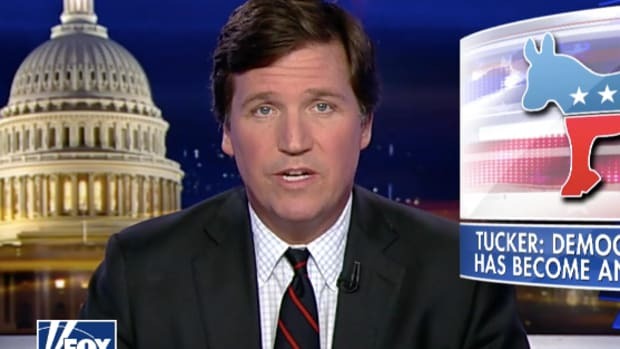 I don&apos;t know who this Tucker is, because that&apos;s not the same Tucker Carlson who was on Cross Fire making those arguments, now all of a sudden he is turning into this nationalist, because that seems to be what Fox News wants to do in their line up at night." "It&apos;s a shame. It&apos;s a shame because you are just fomenting more racial division in this country, which is the last thing we need with what Donald Trump has done." Carlson has since defended himself from the charges, reverting to the tired trope that the "organized left" is smearing him and trying to silence different opinions. Lemon asked Bakari Sellers whether he thought this was a deflection from the real issues. "It&apos;s a deflection," said Sellers flatly. "There is no organized left, it is Americans who are tired of stupidity." Amen. I have written much about Carlson and his increasingly brazen white nationalism, largely because I believe him to now be one of the most dangerous people in America today. He intellectualizes white supremacy in order to satiate his employers desire to appeal to Trump&apos;s base (now the majority of Republican voters), and is making millions doing so. "There was a time in this country when individuals used to use bullhorns and water hoses, but now those same individuals wear Brooks Brothers suits and get late night cable TV shows." "I think that this is a vein of white nationalism," he went on. 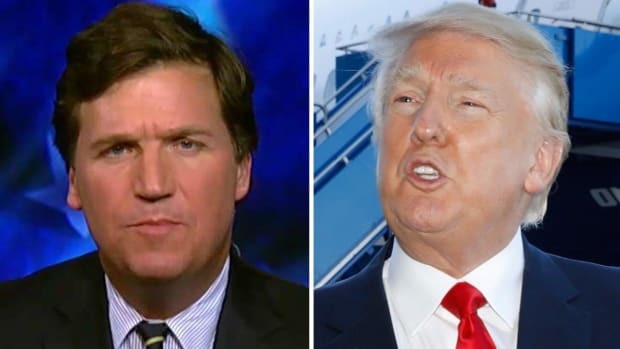 "I think that Tucker Carlson... I don&apos;t know him personally, I don&apos;t want to call him racist, but he is trafficking in the political currency -- the same political currency that the president uses, which is racism." This is an important point when considering just how toxic Carlson is. He isn&apos;t necessarily a racist per se, but he uses racist dog whistles for money, making him, at least in my estimation, worse than a racist. The distinctions here are subtle, but crucial when it comes to understanding what Carlson is doing. The Fox News host is an expert at feigning ignorance. His "I&apos;m shocked you would say that" expression has been memed to death and for good reason. It is fake, and calculated to give the impression that Carlson is just an honest, reasonable observer trying to wade through the madness of left wing identitarian politcs. The truth is that Carlson knows exactly what he is doing. His strategy is basically a more sophisticated version of what Donald Trump does. Carlson uses deliberately provocative language to rile up white America over issues like immigration, and if you call him out on it, he labels you an extremist leftist ideologue. Carlson&apos;s preppy persona gives him the veneer of respectability, but he is no better than the bigoted president occupying the White House. Carlson&apos;s evolution into an overt white nationalist must be seen in the context of the time we are living in. Trumpism has destroyed traditional conservatism in America and is making the GOP redundant if it does not follow in the president&apos;s footsteps. Fox News caught onto this fairly early on and changed its editorial strategy to reflect the growing racism and xenophobia of its viewers. Carlson was brought in to cater to this movement, and he is proving remarkably good at his job. The more outspoken he becomes, the more the new right embraces him and the better his numbers are. The more you delve into Carlson&apos;s transformation, the more cynical it appears to be. 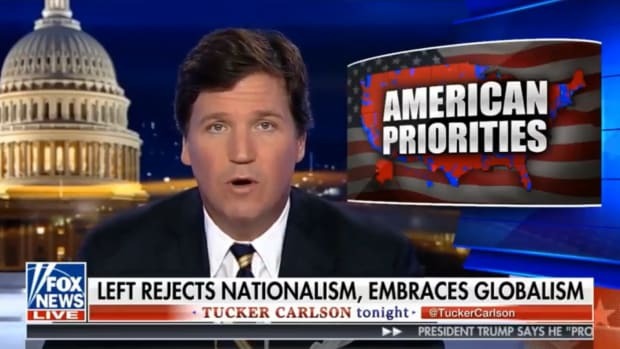 Carlson has simply shed his former politics and embraced a disgusting form of ethno-nationalism in order to make more money. It is unclear whether Carlson really does believes what he is saying, but the net effect means it doesn&apos;t make much difference. If you traffic in the political currency of racism, you should ultimately be considered racist.